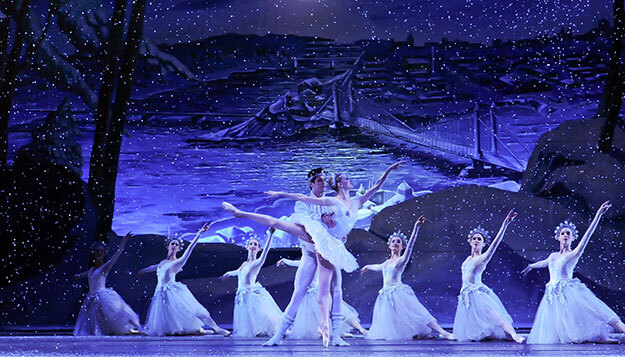 A winter wonderland awaits at Pittsburgh Ballet Theatre’s The Nutcracker! It’s Christmas Eve in turn-of-the-century Pittsburgh when a mysterious gift sparks a wondrous adventure. Journey to a Land of Enchantment filled with swirling snowflakes, waltzing flowers and exciting dances set to Tchaikovsky’s glorious score. Five lavish scenes, dozens of dancers and over 150 costumes make The Nutcracker one of Pittsburgh’s most cherished holiday traditions. Tickets for The Nutcracker go on sale to the public in August 2019. Start your afternoon at the ballet with this exclusive opportunity to watch a few minutes of the company’s warm-up class on stage; then Artistic Director Terrence S. Orr joins the audience for a preview and a Q & A with the audience. In the theater; no reservations necessary. Family Pointe on Dec. 8 is now full! Please join us for another educational program in the future! 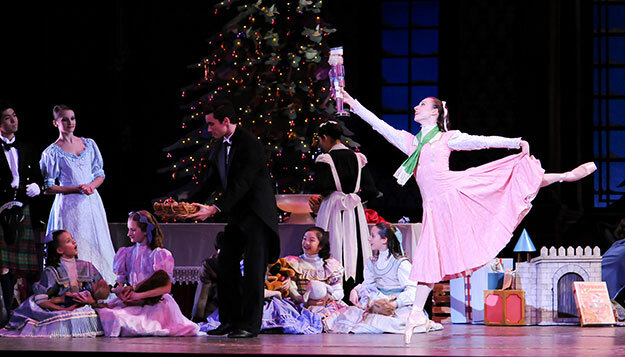 Kids can try a fun, introductory ballet class before the show! Warm up, learn basic ballet steps, and try out some Nutcracker choreography. For boys and girls, ages 5 – 13; no dance experience required. Enter at the Benedum stage door, 719 Liberty Ave., 15222. Cost: $18 plus performance ticket. Come learn about The Nutcracker before the performance! We’ll hear the story and watch the Toy Soldiers rehearse their part in the battle scene. And get ready to dance with us and try out some steps from the ballet! For all ages. Enter at the Benedum stage door, 719 Liberty Ave., 15222. Reservations requested. With the exception of Ballet Adventures, programs are free and open to ticket holders. For more information contact education@pittsburghballet.org. Learn more about The Nutcracker! 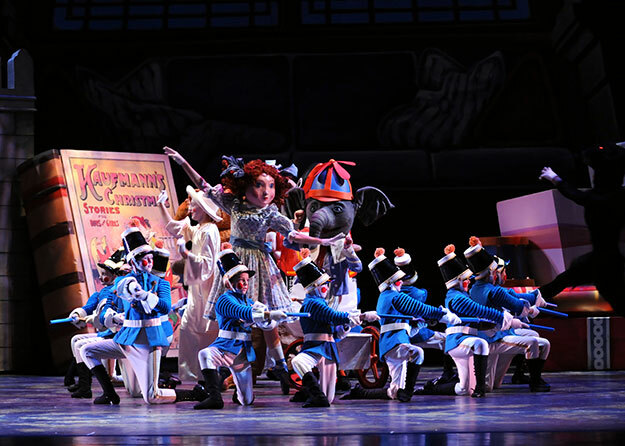 The Nutcracker Audience Guide – Synopsis, background information, a look at the costumes and choreography, and more! Tickets purchased from PBT cannot be resold, transferred or distributed to any ticket broker or any other person or entity for resale. Should it come to PBT’s attention that the ticket purchaser is a ticket broker, all current and future orders may be cancelled without notice or justification of action. PBT reserves the right to deny admission to any person with a ticket obtained in violation of these terms. Reprinted tickets will be held at the Box Office for pick up on the day of the performance. You will be asked to show a photo ID in order to pick up the tickets.